Watch the 8 rounds Flyweight contest between the Filipino Genisis Libranza and the Nicaraguan Carlos Buitrago. Scheduled in the undercard of Manny Pacquiao vs. Adrien Broner on January 19, 2019 at the MGM Grand, Las Vegas, Nevada, USA. Genisis Libranza is a 25 years old with a record of 17W-1L-10KO's, he is world rated no. 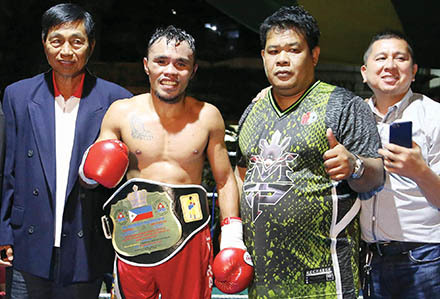 23 in the flyweight and he defeated Renz Rosia via unanimous decision to win the Philippines Games & Amusement Board Flyweight Title last October of 2018. On the other hand, Carlos Buitrago is a 27 years old with a record of 30W-4L-17KO's, he is world rated no. 40 in the flyweight division and he was defeated by Angel Acosta in a world title match via 12th round TKO last June 2018.